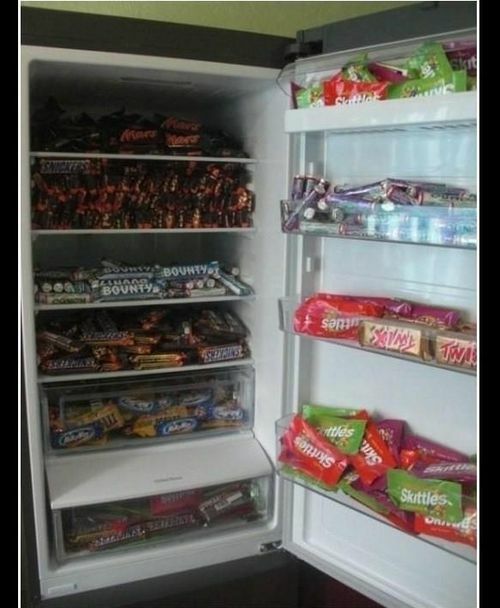 As much as I would love to say this is my fridge, it is not. But can I say how much I approve of this person, whoever and wherever they may be! WOW - that is some fridge! !